BMC won their second consecutive World Championships team time trial title in Richmond, Virginia, by beating Etixx-Quick Step over the 38.8km course by 11 seconds. The American team made the bold decision to leave Peter Velits out of their squad – the only man to have won every edition of the modern Worlds TTT, two with Quick-Step and last year with the Jim Ochowicz’s squad. Etixx set a competitive time as the second-to-last team to cross the finish, but the four remaining BMC riders put in a gutsy performance to take the win. Movistar took the bronze medal. Tinkoff-Saxo‘s chances of upsetting the form guide were ended near the second checkpoint when Michael Valgren and Michael Rogers both crashed off the side of the road. With one rider already dropped the team did not have the requisite four men to set a time on the line. Peter Sagan’s team regrouped to finish the course with six men in a time of 50-19 – eight minutes down on the winners and in last place. 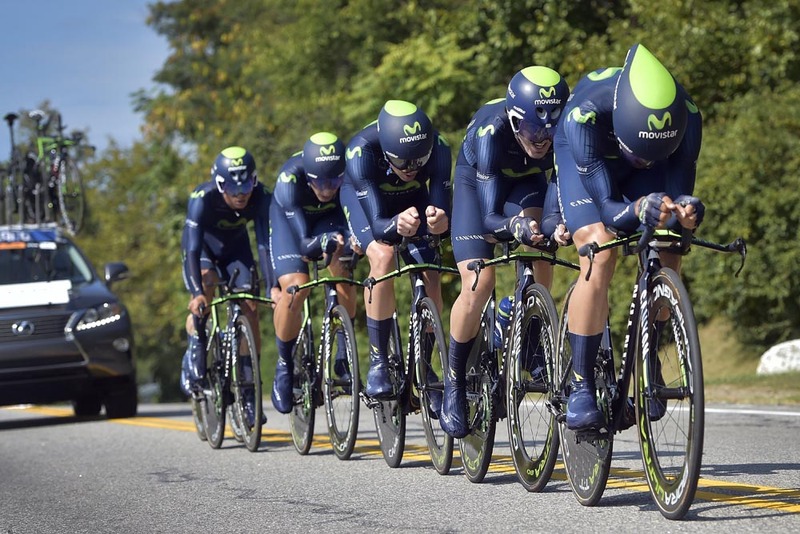 Movistar, with Alex Dowsett, held the provisional lead before Etixx crossed the line, and when TTT specialists Orica-GreenEdge could only finish behind them the Spanish team knew they would take third place. 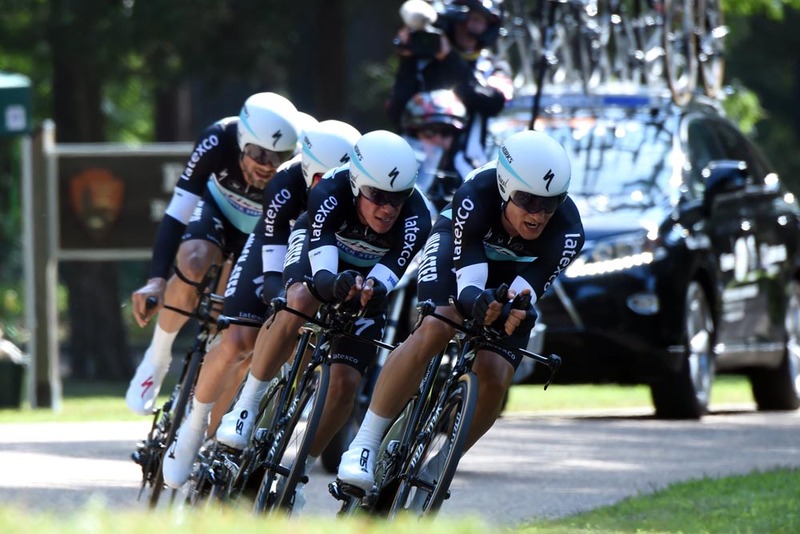 Etixx-Quick Step put in a strong performance and looked as if they might have put in an insurmountable time, with the time gap to BMC slowly dropping. With BMC down to five riders, Silvan Dillier looked to be struggling to hang on to the back of their line. But as Stefan Kung was forced off the back, Dillier clung on and was one of the four riders to cross the finish line and stop the clock – the time gap extended to 11 seconds having looked shaky just minutes before. Earlier in the day, Velocio-SRAM also retained their title in the women’s event, beating Lizzie Armitstead’s Boels-Dolmans team by just six seconds over the same 38.8km course. It is the American team’s fourth consecutive title, but also their last as the management announced the team would fold at the end of the year.